If you plan to spend a few days in Bangkok, check out BTS Skytrain Rabbit Card to travel by BTS on a discount! convenient. do not have to queue to buy tickets. booth is right outside the station. 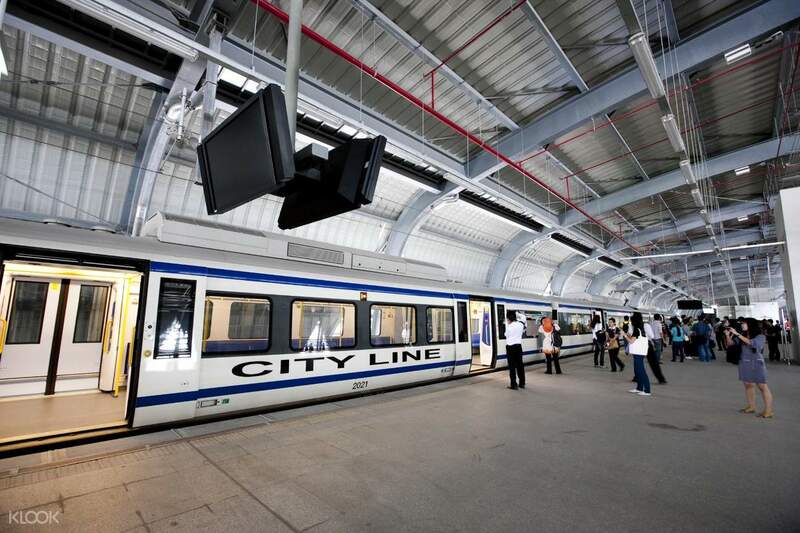 The Suvarnabhumi Airport Rail Link and City Air Terminal makes travel from downtown to the airport, and vice versa, more convenient, faster, and more flexible. 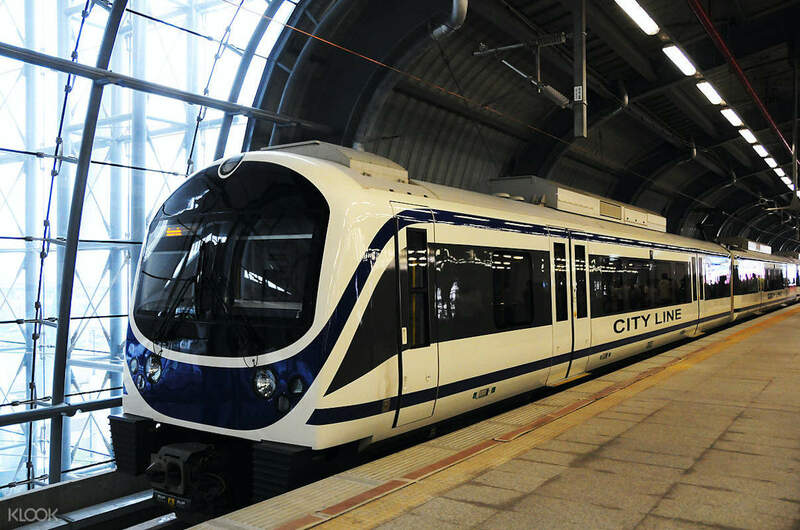 This 260km/h rail system connected with the Bangkok Skytrain and the Bangkok Subway Train, makiing train connections even easier. 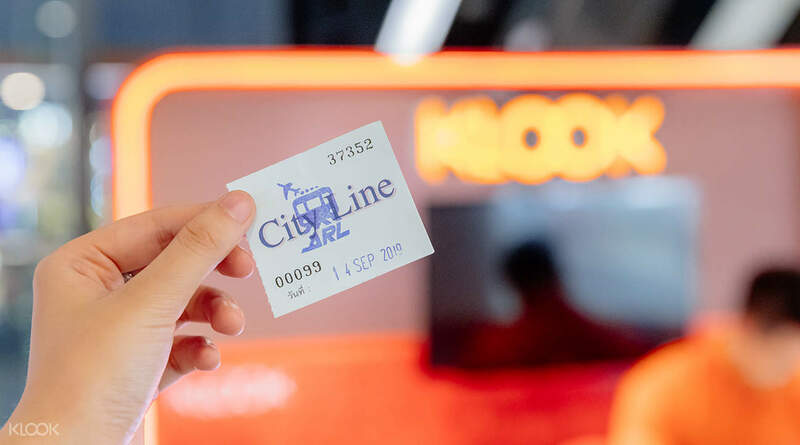 English speaking staff will be at hand to help you, and all you need to do is grab your ticket (you won't have to queue up anymore) and get on your train. The Smart Pass in particular can be incredibly useful for travelers who will need to head back and forth, as it can store value that can be topped up, giving you easy access to the ARL without queuing every time. You won't be dealing with the traffic when you head to downtown Bangkok or vice versa , and with no worries and comfortable travels, your journey gets even easier. 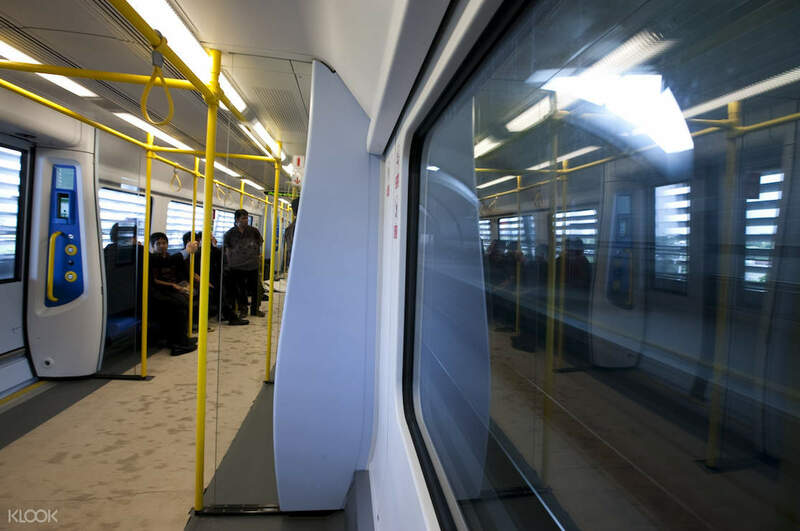 Book discounted one way tickets for the Airport Rail Link on Klook today! Best way to reach Bangkok city from airport. Takes about 30 minutes time and very convenient. It ends at Phayathai from where you can take a Sky train to other parts of city. Has ample space to keep luggage and not crowded at all. Airport link staff is also very helpful and provide necessary guidance to find your way around. Best way to reach Bangkok city from airport. Takes about 30 minutes time and very convenient. It ends at Phayathai from where you can take a Sky train to other parts of city. Has ample space to keep luggage and not crowded at all. Airport link staff is also very helpful and provide necessary guidance to find your way around. Wohoo i really skipped the line for BKK ARL! It was amazing. No need to change small cash nor queue for a very long and rush line. Just go to Klook booth and show the booking voucher, the staff will give us the ARL ticket. However the ticket cannot enter the machine in the entrance gate but you can show the ticket to the one in charge and he will open the door for us to enter the ARL. It was very convenient. Our hotel is near Phaya Thai BTS and we just hopped on the BKK ARL and sat till the final station. That’s all. You should buy this if you want a hassle-free trip from airport to the city! I love you Klook! Wohoo i really skipped the line for BKK ARL! It was amazing. No need to change small cash nor queue for a very long and rush line. Just go to Klook booth and show the booking voucher, the staff will give us the ARL ticket. However the ticket cannot enter the machine in the entrance gate but you can show the ticket to the one in charge and he will open the door for us to enter the ARL. It was very convenient. Our hotel is near Phaya Thai BTS and we just hopped on the BKK ARL and sat till the final station. That’s all. You should buy this if you want a hassle-free trip from airport to the city! I love you Klook! I’m so regret can’t go on time to redeem at counter Klook due to bad delay my fly from Chiang Rai . Next time I will book again with Klook. Very bad delay ruin my trip. I also nearly miss the last train at 24:00. I’m so regret can’t go on time to redeem at counter Klook due to bad delay my fly from Chiang Rai . Next time I will book again with Klook. Very bad delay ruin my trip. I also nearly miss the last train at 24:00.
klook counter is located near to airport link entrance at the airport. theynopen at 8am. very fast to claim. just show mobile voucher and the lady will give you tickets to be shown at the ARL guard and he will let you in and use the train. then when you reach your destination, the guard on the station will collect the tickets. 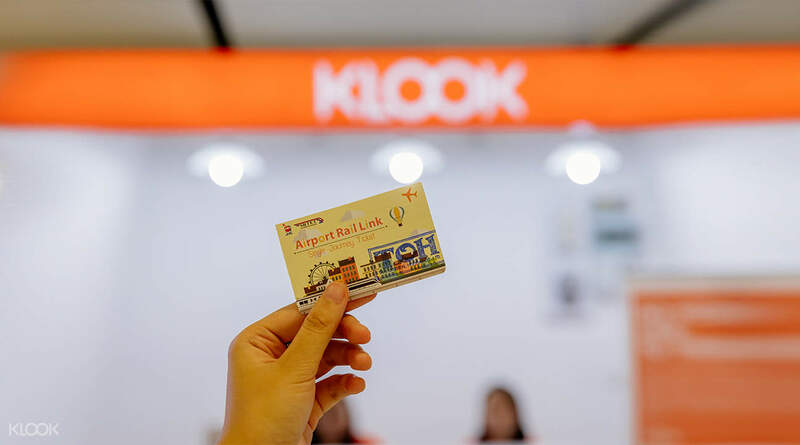 klook counter is located near to airport link entrance at the airport. theynopen at 8am. very fast to claim. just show mobile voucher and the lady will give you tickets to be shown at the ARL guard and he will let you in and use the train. then when you reach your destination, the guard on the station will collect the tickets. The redemption was fast and easy. Getting to the train was easier. The best part is it easily connects to the BTS and MRT stations that would allow us to go around Bangkok easiliy without any hassle. Would definitely do this again. The redemption was fast and easy. Getting to the train was easier. The best part is it easily connects to the BTS and MRT stations that would allow us to go around Bangkok easiliy without any hassle. Would definitely do this again. We got a combo ticket for ARL + Sea life aquarium and Madame tussauds. Finding the klook counter in airport was a lil problem but This is so economical. Good discounts and we had a great time in each place. We got a combo ticket for ARL + Sea life aquarium and Madame tussauds. Finding the klook counter in airport was a lil problem but This is so economical. Good discounts and we had a great time in each place. You’ll never waste time and money for this deal. Truly fast going to the city from the airport and cheaper than taking a cab or grab. Our experience in Bangkok was exceptional thru this. You’ll never waste time and money for this deal. Truly fast going to the city from the airport and cheaper than taking a cab or grab. Our experience in Bangkok was exceptional thru this.